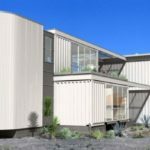 Shipping Containers have recently become the attractive and ecofriendly alternative to traditional living options. 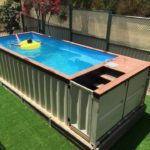 Their availability to repurpose them into beautiful, functional homes, their strength and their price are all factors that make shipping containers the ultimate tools to build with. STRENGTH Shipping containers are made from durable steel – and they are designed to be stacked on top of each other while holding heavy cargo. They are designed to be supported by their four cast corners, making their foundation simple but effective, and structurally sound. 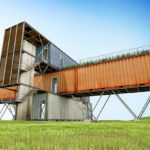 PRICE When you compare the price of building a house from nothing to developing a shipping container house plan, the container house is almost always cheaper. The boxes are available all over the country at a relatively low price, while their modular shape makes the design process quick and easy. OPTIONS Container house designs can be made to your exact specifications. You can fully insulate your shipping container, as well as add heating and cooling elements. 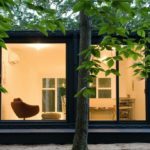 You could also include windows for natural light and sliding glass doors to make your container house feel open and roomy. There is the option of installing an indoor or outdoor shower, accompanying a full bathroom. You could even include a living room sofa that transforms into a bed and install a fully equipped kitchen with a full-sized refrigerator! ECO-FRIENDLY Another reason these homes are so attractive is how green and eco-friendly they are. It saves so much time and labour to take a one-trip container instead of starting your own design with your own materials from scratch. But where to begin? 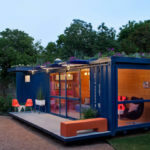 Use our handy guide below to navigate the pages about Container homes – their types, sizes, design, costs and examples.